Looking for a new breakfast dish? Well, I found the perfect one in Heidi Swanson’s Super Natural Every Day: Well-loved Recipes from My Natural Foods Kitchen called Baked Oatmeal! I bookmarked this recipe back in April when I visited my sister at Oklahoma State University to run a 10k, and I’ve been meaning to make it ever since… I don’t know why I waited for so long! 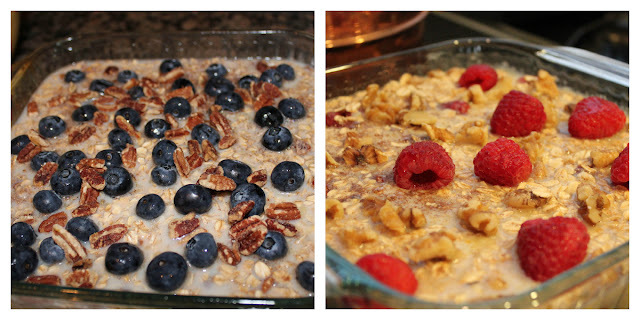 I’ve made this baked oatmeal twice, once using blueberries, natural cane sugar and pecans. The second time I made it with raspberries, maple syrup, and walnuts. Both were amazing; it’s probably the best baked oatmeal I’ve had in my entire life! It tastes like a cross between a berry crisp/crumble and blueberry/berry pie! You can use maple or natural cane sugar. 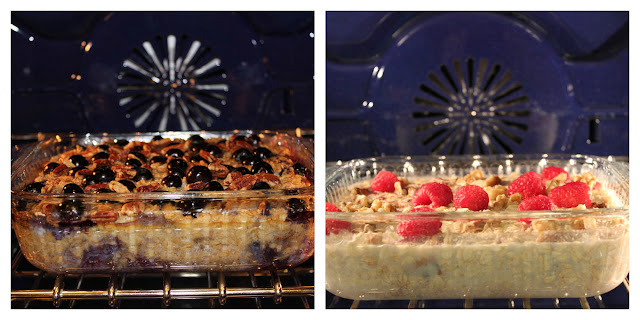 Both add a subtle sweetness to the baked The sweetness from the natural cane sugar adds a subtle flavor, while the combination of blueberries and/or raspberries and bananas cannot be beat. I think what really gives this oatmeal its flavor, is the 1 1/2 teaspoon of cinnamon. The cinnamon is warm and reminds me of fall, but is not overly powerful. The pecans or walnut finish off the oatmeal and gives it the “crunch” you’d be looking for. Drizzle your oatmeal with extra maple syrup for an even sweeter taste…but I think the juicy blueberries and/or raspberries add enough moisture and sweetness that you may not even want syrup. 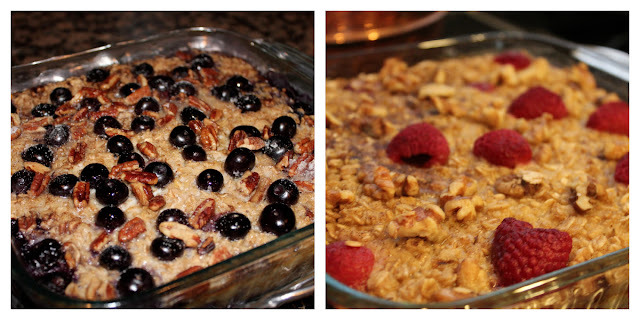 *Note…You can make this over the weekend and enjoy it for breakfast for the next few mornings. Yum! Mix together the oats, half of the nuts, cinnamon, natural cane sugar, salt, and baking powder. Meanwhile, combine the egg, milk, half of the melted butter, and vanilla. Slice bananas and layer onto the bottom of a greased baking dish. Top with two-thirds of the berries. Sprinkle the oat mixture on top. Next, pour the milk mixture over the oats. Finally, top with the remaining blueberries and nuts. Bake for 35 to 45 minutes at 375 degrees F or until top is nicely golden and set. 1. Preheat the oven to 375 degrees F with a rack in the top third of the oven. Generously butter the inside of an 8-inch square baking dish. 2. 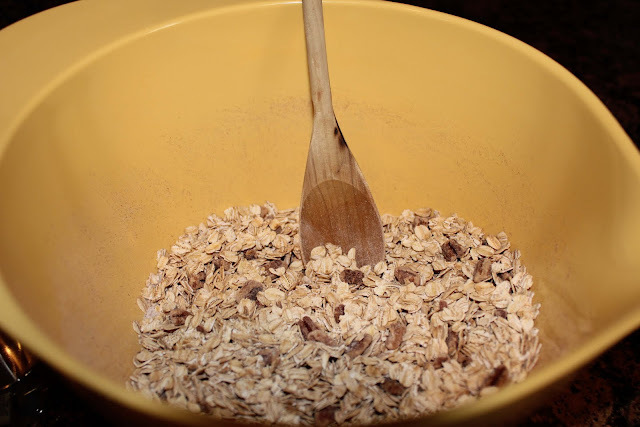 In a bowl, mix together the oats, half the walnuts, the sugar, if using, the baking powder, cinnamon, and salt. 3. 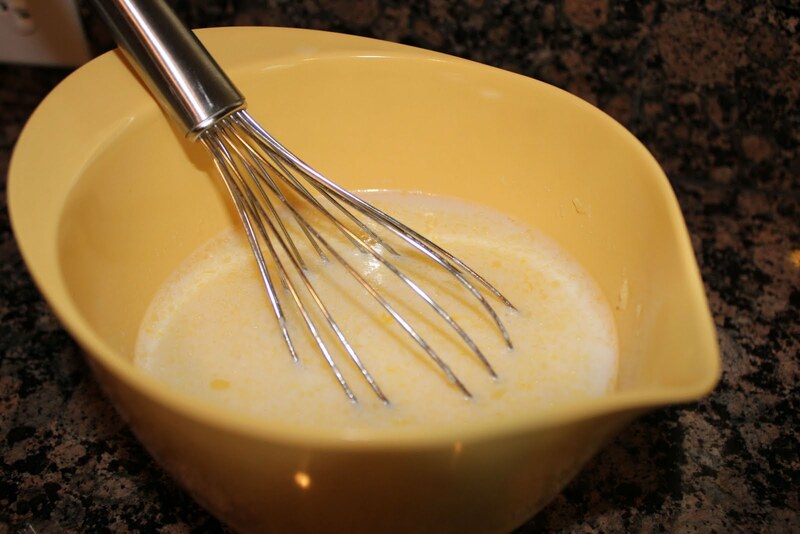 In another bowl, whisk together the maple syrup, if using, the milk, egg, half of the butter, and the vanilla. 4. 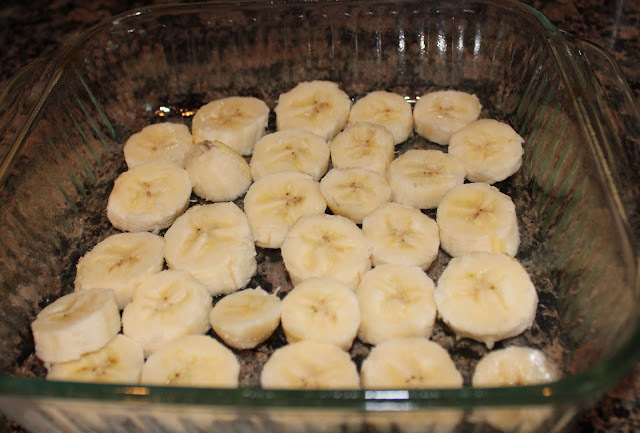 Arrange the bananas in a single layer in the bottom of the prepared baking dish. Sprinkle two-thirds of the berries over the top. Cover the fruit with the oat mixture. Slowly drizzle the milk mixture over the oats. 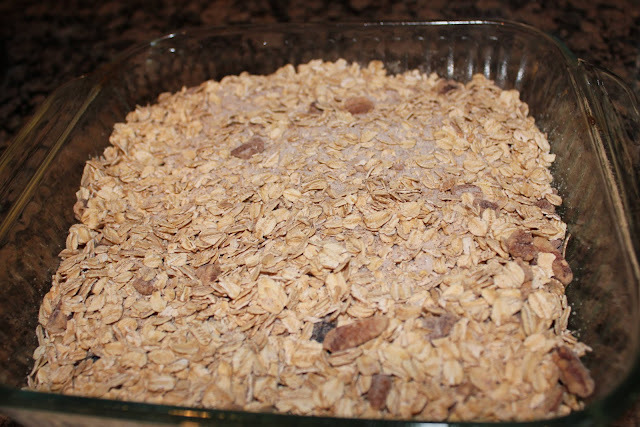 Gently give the baking dish a couple thwacks on the countertop to make sure the milk moves through the oats. Scatter the remaining berries and remaining walnuts across the top. 5. Bake for 35 to 45 minutes, until the top is nicely golden and the oat mixture has set. Remove from the oven and let cool for a few minutes. Drizzle the remaining melted butter on the top and serve. Sprinkle with a bit more sugar or drizzle with maple syrup if you want it a bit sweeter. 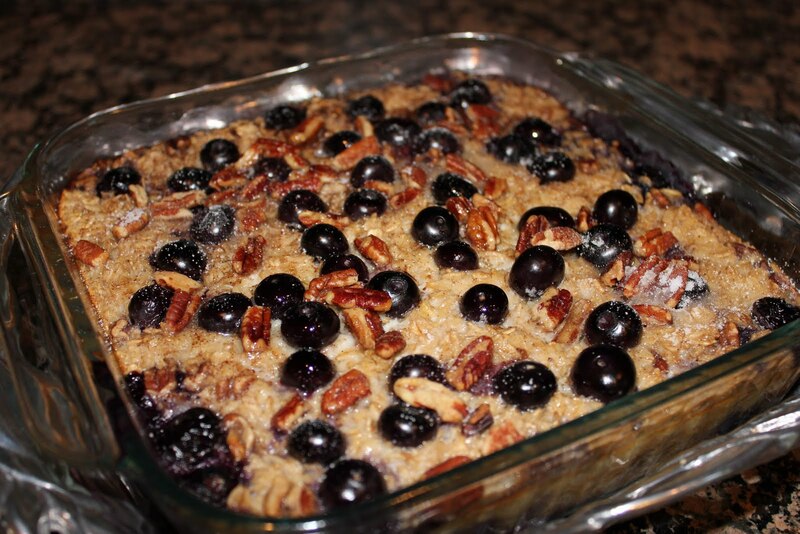 3 Responses to "Baked Blueberry Oatmeal"